Justin Hines, associate professor of chemistry, is the recipient of a prestigious Henry Dreyfus Teacher-Scholar award from the Camille and Henry Dreyfus Foundation. It’s a highly competitive award: A college can only nominate one faculty member annually, and only eight candidates received grants this year. Currently, Hines has nine student researchers working in his lab. Four will be presenting their research in December at the American Society of Cell Biology’s annual meeting in San Diego. This award is just the latest endorsement of Hines’ work. In 2017, he received his second National Institutes of Health grant. 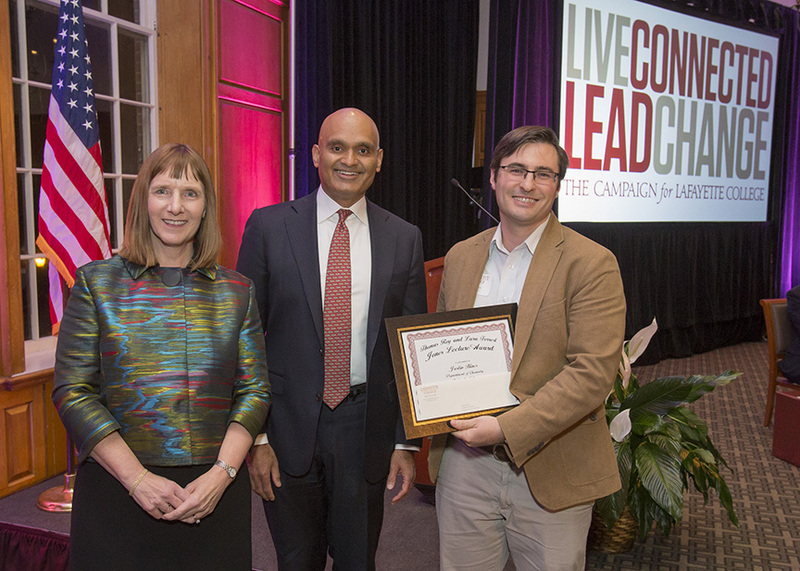 Since joining the faculty of Lafayette in 2011, Hines has accumulated $750,000 in awards to support his research at the College.